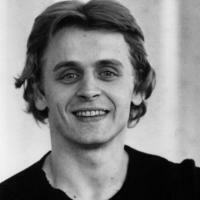 See the gallery for quotes by Mikhail Baryshnikov. You can to use those 7 images of quotes as a desktop wallpapers. I - you know, I'm not an actor. I am not trying to do material which I cannot do full out. I am teaching more. That is what I do best. I don't drink milk, and I don't eat bread, pasta or rice. But I eat a lot of meat, chicken, fish and salads. I don't go to a gym, I don't do yoga. I don't do personal training. I don't see in myself any perfection. I don't want to do anything Freudian. I fell in love with New York. I go a lot to see young people downtown in little theaters. It's great. If you start somebody's career, it's so exciting. I have some Russian friends. But probably only 10 percent. I don't hang out usually in the big Russian communities in Brooklyn and New Jersey. I kind of lost interest in the classical dance. 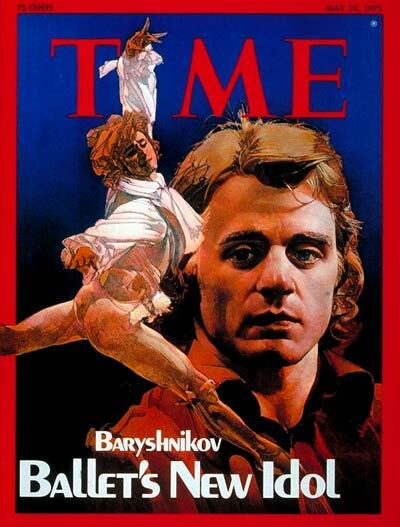 I was very much interested in the modern choreography. I know when I am on stage and I'm kind of on the right track - hopefully most of the time. But a lot of time I'm not. I like to go to anybody else's birthday, and if I'm invited I'm a good guest. But I never celebrate my birthdays. I really don't care. I like to make my own mistakes. I miss horribly those couple of hours before the performance when you get into the theater and you see people. 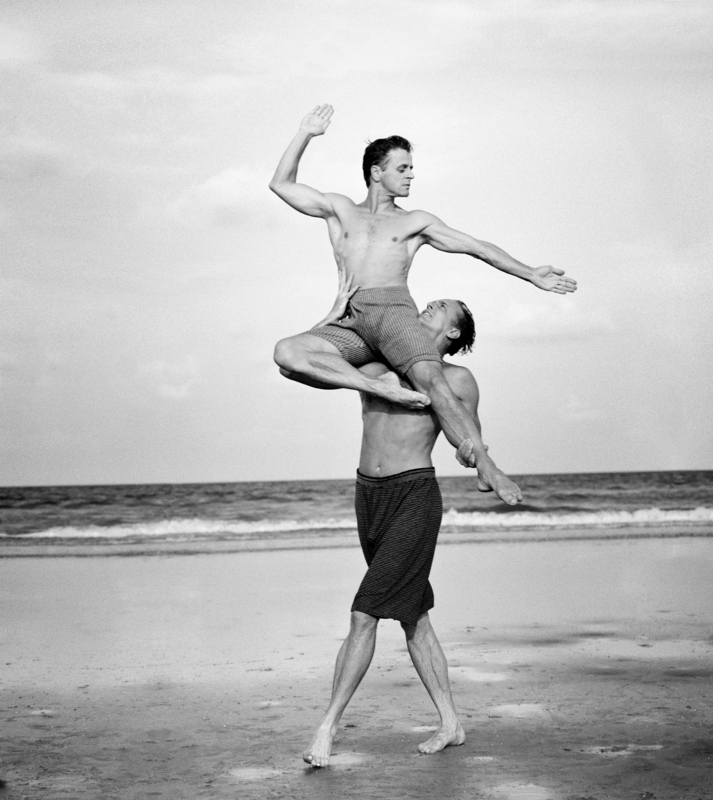 I never liked dance photography; it's very flat, and dance photography in the studio looks very contrived. I read Russian literature a lot. I spend at least a couple hours a day in the studio, every day, whether I'm dancing or not. I was always interested in photography and other forms of art. 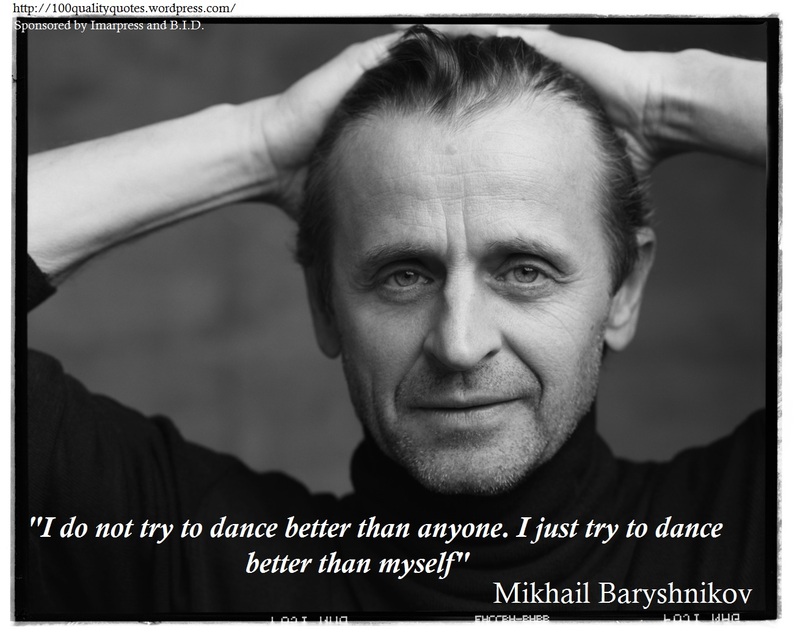 Much more quotes by Mikhail Baryshnikov below the page. I was not extremely patriotic about Mother Russia. I played their game, pretending. You have to deal with, you know, party people, KGB. Horrifying. I would like to go and dance in Palestine one day, with great pleasure, great pleasure. I've been hurt quite a few times. My mother had a son from previous marriage and her husband died in Second World War. Nothing is ever too expensive if it furthers the repertoire and artistic standards of a dance company. Now there is in a way a renaissance of modern dance - suddenly, it is more respected and discovered. Obviously, the young dancers lack a certain air of maturity. People dance at any age. Running a company is pretty demanding. When I see people on the street, I look at how they walk. It's like a signature, a fingerprint. When I'm alone, I work sometimes with music, sometimes without and sometimes just listening to NPR. Your heart is very much connected to your mind. I remember vividly seeing 'Tarzan' and Fred Astaire, the Chaplin films, Fred Astaire musicals, MGM, because of my mother. She was just interested in everything and she took me to opera and ballet, and then ballet got me hooked. I think I got disappointed over the years about New York, about the States. You know, sometimes you go and visit Europe and see good old socialism in its good part! You see public concern about art, and young people's participation and young faces in the audience. I was very restless. I really wanted to be a part of a kind of a progressive society. I was fed up with these Communist doctrines and you were hassled all the time with members of the Party committee who were KGB, what you have to do, where in the West you can go or not to go. In opera tradition, when opera die-hard fans, there is a replacement of singer or singer wasn't at his or hers vocal best, doing something, they boo. Especially now that they pay hundreds of dollars for the ticket. My father was a Party member and he was a pretty high rank military officer under the colonel, junior colonel, I don't know the term. He was a total Stalinist. A bit with a streak of anti-Semitism and very shrewd man, a very kind of nervous man. We lived, until I was 12 or so, in communal apartment with five different families and the same kitchen, in two little - my brother and me and my parents. It was hell, but it was a common thing. My father was not general or admiral, but he was colonel. He was teaching in military academy military topography. I think art education, especially in this country, which government pretty much ignores, is so important for young people. Dancers are stripped enough onstage. You don't have to know more about them than they've given you already. I really reject that kind of comparison that says, Oh, he is the best. This is the second best. There is no such thing. 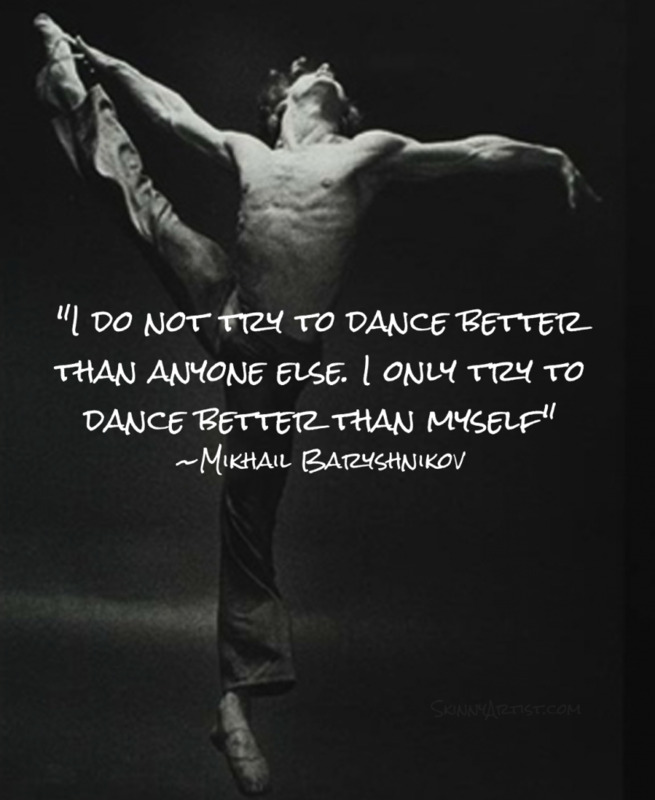 Dancing is my obsession. My life. 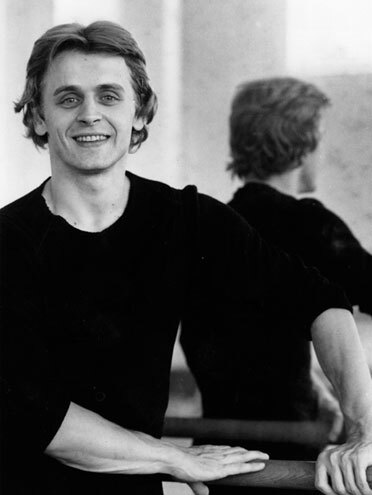 Every ballet, whether or not successful artistically or with the public, has given me something important. A country like Belgium, or socialist countries in central Europe spend more money on art education than the United States, which is a really puzzling thought. I get speeding ticket like everybody else. If the restaurant is full I'm waiting in line like everybody else. In the second part of life you get rid of stuff you've accumulated. Astaire was not a sexual animal, but he made his partners look so extraordinarily related to him. I want to do exactly what I want to do. I'd rather gamble on the box office than beg for a grant. You see, dancers are quite mature people because they start performing so early. They become professionals when they start to take everyday classes. Your body actually reminds you about your age and your injuries - the body has a stronger memory than your mind. I've always said, 'I am a selector, I am not defector' - the first few phrases in English I learned. I said I hate 'defector'; something defective about the people. It's a bad word. 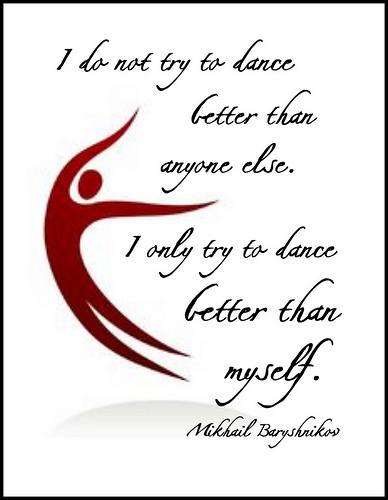 Dances have a second and third life. You feel they are never ready. They always have a chance for another life.